MEMPHIS, TENN. -- EdR (NYSE: EDR), a developer, owner and manager of collegiate housing, will use $171 million in proceeds from a recent equity offering to fund one acquisition and two new developments at Arizona State University, the University of Connecticut and the University of Louisville. EdR has agreed to purchase The District on Apache, a student housing community serving Arizona State University, for approximately $92 million. 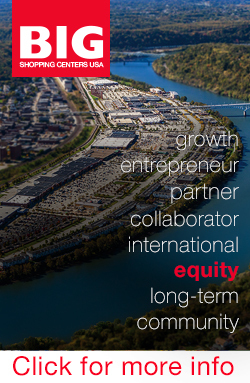 In addition, the REIT will own and manage the $45 million The Oaks on The Square student housing property at the University of Connecticut, and has executed joint venture agreements with Georgia-based Landmark Properties Inc. to develop, own and manage The Retreat at Louisville, a student housing property at the University of Louisville. "Each of these communities will strengthen our portfolio, bring additional value to our shareholders and further our company's growth plan," says Randy Churchey, president and CEO of Memphis-based EdR. 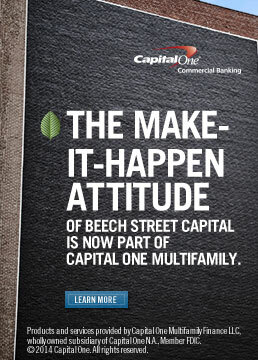 The District on Apache is a 900-bed community within walking distance of the Arizona State University Tempe campus. The property, which opened in August 2013, is fully occupied and 90 percent pre-leased for the coming academic year. 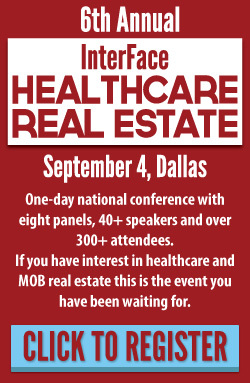 EdR anticipates the property to be 95 percent pre-leased upon opening in fall 2014. 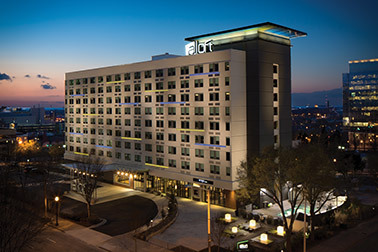 The Aloft Downtown Atlanta hotel is Starwood Hotels & Resorts' largest Aloft hotel in the Southeast. ATLANTA -- Starwood Hotels & Resorts and DeBartolo Development have opened Aloft Downtown Atlanta, a 10-story, 254-room hotel in downtown Atlanta immediately adjacent to the Atlanta Merchandise Mart. Banyan Investment Group manages the hotel, which includes a bar, lounge, swimming pool, 24-hour fitness center and 2,500 square feet of meeting space. The new hotel is Starwood's largest Aloft hotel in the Southeast. Batson-Cook has delivered or is constructing seven Benton Houses totaling 275,000 square feet in Georgia, Florida and South Carolina. 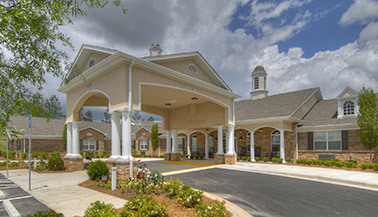 WEST POINT, GA. -- Batson-Cook Construction and its sister company Batson-Cook Development Co. have partnered with Principal Senior Living Group for a spate of new seniors housing facilities in the Southeast. 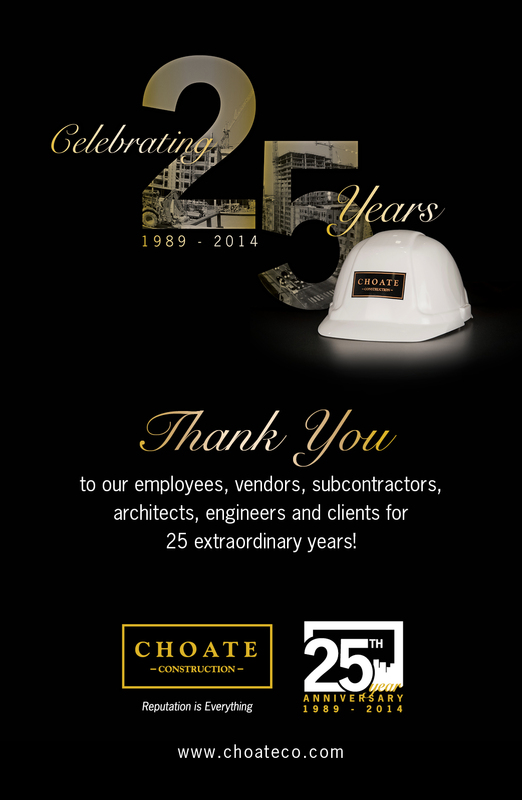 The development team has delivered or is constructing seven facilities totaling $56 million and 275,000 square feet. 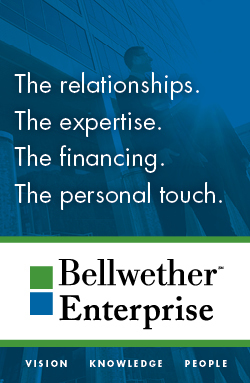 The facilities, operating under the Benton House brand, are located in Douglassville, Ga.; Johns Creek, Ga.; Alpharetta, Ga.; Woodstock, Ga.; Brunswick, Ga.; Clermont, Fla.; and Bluffton, S.C.
West Point-based Batson-Cook Construction is building the Benton Houses at approximately 40,000 square feet each, with each memory-care property housing 55 beds. The company also began a $1.8 million expansion to Benton House of Alpharetta in April. QR Capital plans to invest $1.9 million in renovations in the next 12 months to Hillwood Pointe Apartments. 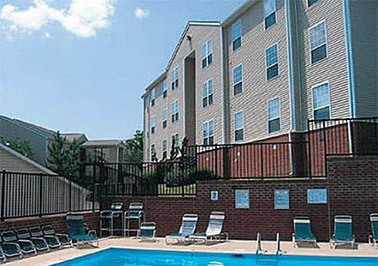 NASHVILLE, TENN. -- QR Capital has acquired Hillwood Pointe Apartments, a 180-unit multifamily community in Nashville, for approximately $14.9 million. Atlanta-based QR Capital plans to invest $1.9 million in renovations in the next 12 months to the apartment community, which was built in 1997. 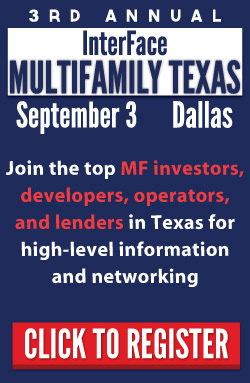 The Kirkland Co. brokered the sale, and Trevor Ritter of Colliers International and Charlie Mentzer of Capital One Multifamily Finance arranged acquisition financing on behalf of QR Capital and its co-sponsor, Militello Capital. Village Oaks is 95.4 percent leased to Bealls, PetSmart, Planet Fitness, Party City, Cato and Plato's Closet. PENSACOLA, FLA. -- HFF has arranged an $11.4 million loan for Village Oaks, a 165,851-square-foot shopping center at 6241-6251 N. Davis Highway in Pensacola. 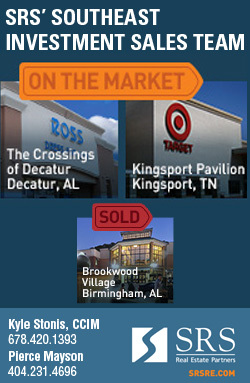 The shopping center is 95.4 percent leased to Bealls, PetSmart, Planet Fitness, Party City, Cato and Plato's Closet. Chris Drew, Whitaker Leonhardt and Cecily Nazario of HFF arranged the 10-year loan through Prudential Mortgage Capital Co. on behalf of the borrower, RCG Ventures LLC. 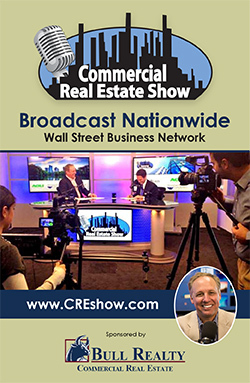 Greg Krafcik of Prudential Mortgage Capital led the transaction. Hanil USA Inc. currently occupies the 100,000-square-foot property in Tallassee, Ala.
TALLASSEE, ALA. -- Westwood Net Lease Advisor represented Buckingham Properties REIT, a private trust based in Rochester, N.Y., in its $7.4 million purchase of an automotive parts manufacturing facility in Tallassee. Jason Benton, a local business owner, sold the 100,000-square-foot property, which is located at 50 Hanil Drive. 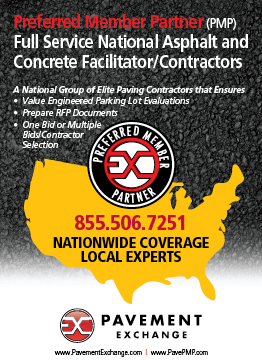 The facility is currently leased to Hanil USA Inc., a brake, fuel and power steering tube supplier. 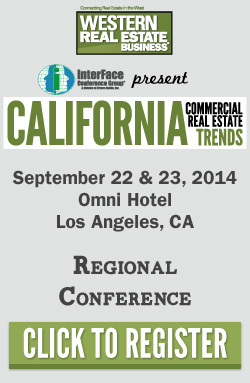 Vince Vatterott of Westwood Net Lease Advisor represented Buckingham Properties REIT in the transaction. 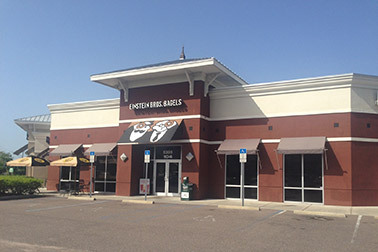 East Bay Plaza is fully leased to Einstein Bros. Bagels, Anytime Fitness, Liberty Tax Service, Radio Shack and Zoom Tan. 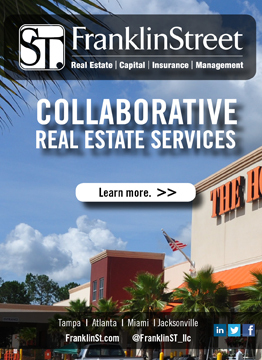 LARGO, FLA. -- Franklin Street Real Estate Services has arranged the approximately $3 million sale of East Bay Plaza at 5395 E. Bay Drive in Largo. 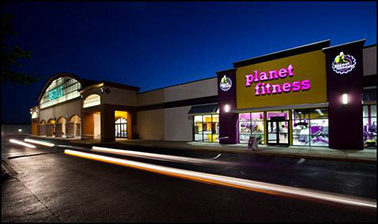 The unanchored, 10,401-square-foot strip center is fully leased to Einstein Bros. Bagels, Anytime Fitness, Liberty Tax Service, Radio Shack and Zoom Tan. Jonathan Graber and Rafeal Wright of Franklin Street represented the seller, East Bay Plaza Integra LLC, in the transaction. 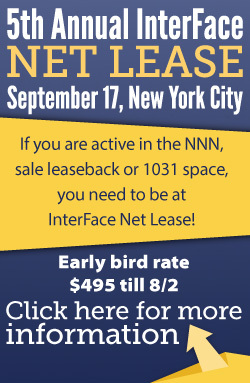 Warner Enterprises LLC purchased the asset in a 1031 tax-deferred exchange. 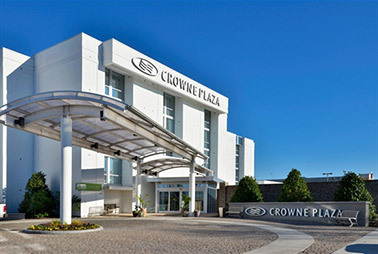 Crowne Plaza in North Charleston is the 10th hotel in the Carolinas that CBRE Hotels has brokered on behalf of Inland since 2010. NORTH CHARLESTON, S.C. -- CBRE Hotels has brokered the sale of the 166-room Crowne Plaza in North Charleston. Arpit Shah of CBRE Hotels' Charlotte office represented the seller, Inland American Lodging Management LLC, in the transaction. This is the 10th hotel in the Carolinas that CBRE Hotels has brokered on behalf of Inland since 2010. 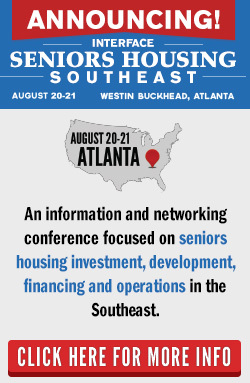 Atlanta-based Peachtree Hotel Group purchased the asset for an undisclosed amount. 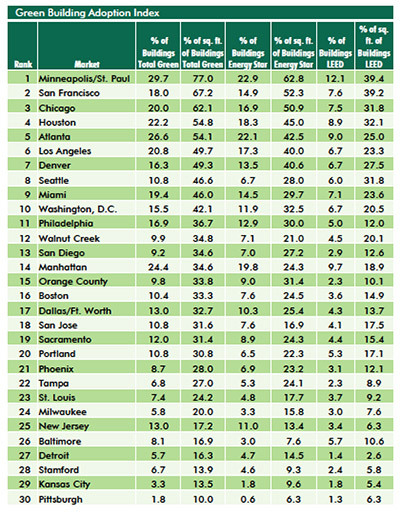 LOS ANGELES -- The 2014 Green Building Adoption Index, a joint project between CBRE Group Inc. (NYSE: CBG) and Maastricht University, has named Minneapolis as the greenest city in the nation, with 77 percent of the city's commercial real estate certified as green. 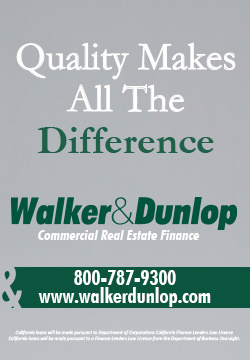 The term green is in reference to buildings that are either certified by the EPA's Energy Star rating or the U.S. Green Building Council's LEED program. 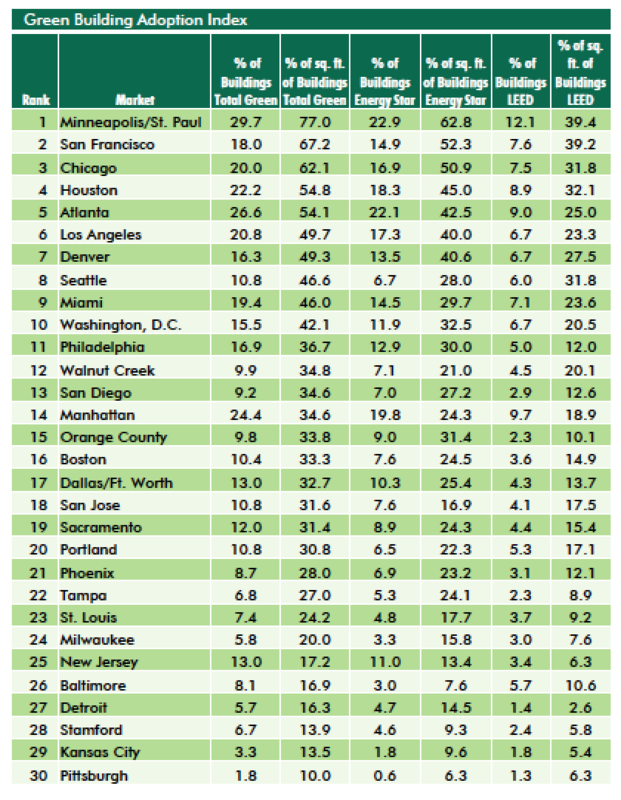 The study also emphasizes the dramatic increase in the number of green commercial real estate properties in the United States since 2005. During that time frame, the amount of Energy Star-labeled buildings has increased 600 percent, and the proportion of buildings that are LEED certified has jumped up 1,000 percent. LEED-certified space now totals 19.4 percent of the total building stock in the 30 office markets reviewed in the study when measured by floor area. The study is the first project in CBRE's Real Green Research Challenge (RGRC), the company's $1 million initiative for research and innovation in sustainability. 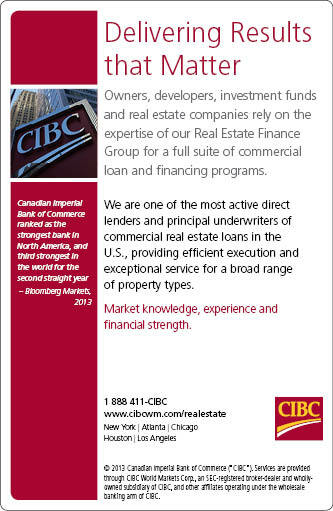 CBRE launched the RGRC in September 2012. 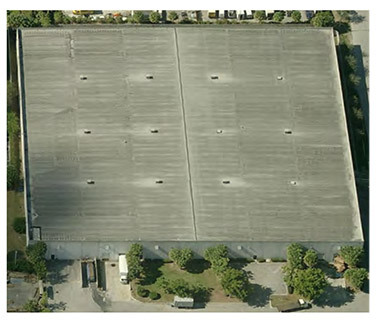 POMPANO BEACH, FLA. -- TM Windows LLC has leased an entire 124,894-square-foot industrial facility in Pompano Beach for warehouse, manufacturing and showroom space. 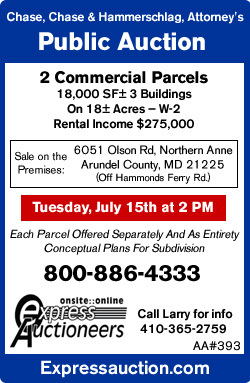 The property is located at 1543 N. Powerline Road in the three-building Superior Commerce Park development. Michael Crissy of Stiles Realty represented the aluminum window and door manufacturer in its 10-year lease transaction. 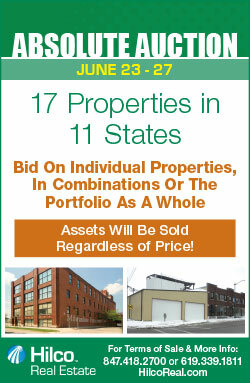 Michael Scarpino and Jennifer Scarpino of NAI Rauch Weaver Norfleet Kurtz & Co. represented the unnamed landlord.